← What would we do without the airlines? It’s the story of the incredibly shrinking airplane seat. Which is ironic because as people seem to be getting bigger the seats are getting smaller. Check out this handy comparison courtesy of Bill McGee of USA Today. As the seats shrink the popularity of the “premium economy” seat has risen – at a cost. Now you can get extra leg room and sometimes extra width on many airlines. Here is an interesting chart – Premium Economy comparison on the Seat Guru site. Now – there is a lot of talk about larger people flying and how this is a huge inconvenience to regular sized passengers. 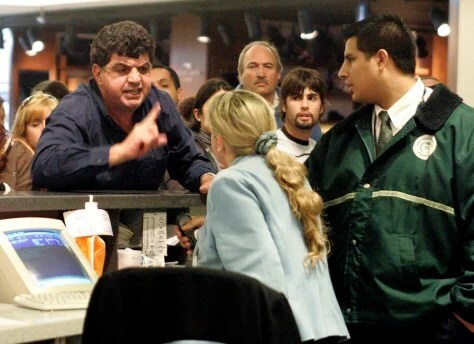 It’s a difficult topic and while some airlines are trying to get larger people to buy two seats this awkward decision is probably left to the check in agent who seems to be the general punching bag for all the world’s pent-up travel frustration. Website – Flying While Fat website. This is an interesting read and offers a different perspective on the whole issue. However sympathetic you may be there is no doubt that a few hours flying in a tube in the air in a cramped seat is not going to put you in the best frame of mind. if you can afford it upgrade – premium economy is worth every inch! Book your flight early and if you have to pay for seat selection do it. It’s worth it. If there is an extra charge for the exit row that too is worth your while. If you are not happy with your seat assigned during your online check in speak to the gate agent. Remember to smile! They are people too and you get more with honey than you do with vinegar. If you are travelling as a couple you can try to book the aisle and window and leave the middle seat empty. The middle seats are usually the last to go – but it doesn’t work all the time (I know this from experience). Cut down on the amount of stuff you take on the plane – bags, hats, coats, books. It all takes up more of your personal space – especially if the overhead bin is full. This entry was posted in Uncategorized and tagged airplane seats, economy premium, flying while fat, Happy, Seat Guru. Bookmark the permalink.